These are challenging times for human rights. Economic inequality along with racial and religious tensions have surfaced as axes of conflict amidst growing authoritarian populism. Refugee flows and internal displacement of millions of people result in human misery and regional instability. Resurgent challenges to basic principles of international law in transitional and established democracies alike provoke for some a sense of futility – and for others, action. UConn’s human rights major is bursting at the seams, as more students take courses in human rights and declare HR Majors or minors across the university. 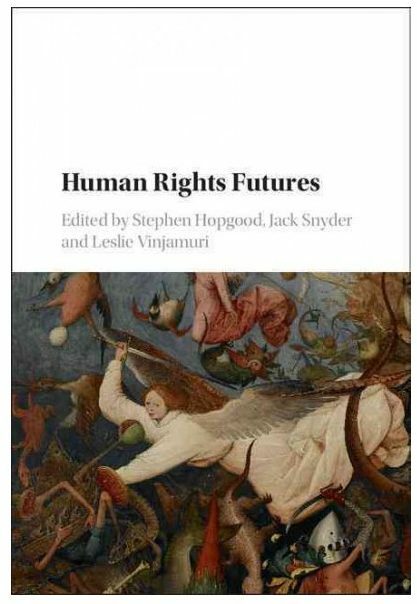 The ranking of one of the flagship journals in the field, The Journal of Human Rights (based at UConn) has doubled in the past year alone, indicating greater readership and impact on scholarly and policy debates – including debates over the way forward in “Hard Time for Human Rights” by leading scholar David Forsythe, himself a former Gladstein Visiting Profe ssor of Human Rights. In the coming year, the UConn Human Rights Institute will host a major international conference to honor the memory of venerable human rights scholar Wiktor Osiatynski, drafter of Poland’s post-communist constitution and the first Gladsetin Visiting Professor ever hosted at HRI. With its emphasis on foundations of law and justice and the past and present challenges facing human rights protagonists like Osiatynski, the conference (titled “Revisiting the Foundations of Human Rights”) offers an opportunity for reflection and action. For future information on this and other upcoming events, stay tuned to this blog.